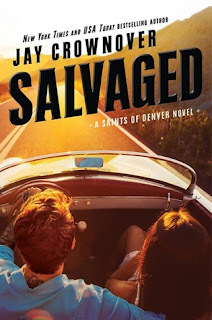 The final Saints of Denver novel is coming on June 20, and I promise you, SALVAGED is everything you are hoping it will be. Check out my review, read an excerpt and enter the giveaway! (Synopsis) Hudson Wheeler is a nice guy. Everyone knows it, including his fiancée who left him with a canceled wedding and a baby on the way. He’s tired of finishing last and is ready to start living in the moment with nights soaked in whiskey, fast cars, and even faster girls. He’s set to start living on the edge, but when he meets Poppy Cruz, her sad eyes in the most gorgeous face he’s ever seen hook him in right away. Wheeler can see Poppy’s pain and all he wants to do is take care of her and make her smile, whatever it takes. Fans of Jay Crownover's Marked Men and Saints of Denver series have been chomping at the bit to get Poppy's story - and her well-deserved and hard-won HEA - for a long time now. I know I was. What she has gone through in her life has been beyond horrific. The men in her life who were supposed to love and cherish her have done nothing but hurt her both physically and mentally, so that now she fears so many things. I wanted desperately for her to finally find her happy. We've known Wheeler nearly as long as we've known Poppy. We also know that he has suffered his own heartache at the hands of the woman he had planned on spending the rest of his life with. It seems poetic that these two broken people find their ways to each other. With everything that Poppy has gone through, it's only natural and right that there was a slow burn between she and Wheeler. First she had to get used to him being in the same room as her. Then to his touch on her elbow or back. But these two really worked at being together because it was something they both wanted very badly. So, Poppy pressed on through her issues and eventually she was able to be with Wheeler in every way they both wanted. It certainly wasn't easy, though. And it shouldn't have been. Poppy had a lot of awful past experiences to overcome. And Wheeler had a very unfortunate and uncomfortable present to face. For a change, though, this couple was all about communication. They talked about how they were feeling. Wheeler was tuned in to Poppy's reactions. And Poppy knew when Wheeler needed comfort and was able to provide it. After both of them being with duds, they finally found their perfect soul mates in each other, and it was incredibly satisfying to read. Throughout Salvaged, Jay Crownover kept giving us little reminders that this is the final Marked Men/Saints of Denver book. We got a chance to catch up with the other nine couples we've met in this world and see where they are with their happy lives. Some were married, some have children, but all were still blissfully happy. Salvaged was the best way to end this amazing series with these incredible people. It wrapped things up in a very poignant way. There was a wedding, a baby born and one final couple to find their way to one another. Thanks, Jay, for giving us these beautiful Marked Men and their strong, capable, resilient women. 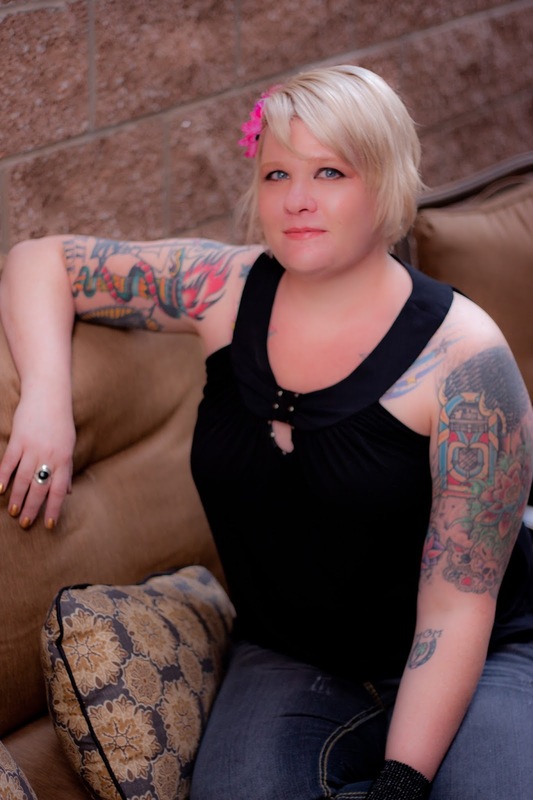 Jay Crownover is the New York Times and USA Today bestselling author of the Marked Men, The Point, and the Saints of Denver series. Like her characters, she is a big fan of tattoos. She loves music and wishes she could be a rock star, but since she has no aptitude for singing or instrument playing, she'll settle for writing stories with interesting characters that make the reader feel something. She lives in Colorado with her dogs.